Keeping to Facebook’s vernacular, my relationship with alcohol is complicated. For most health circles, controversial. It doesn’t have to be. As someone who’s not a professional athlete, bodybuilder, model, or power lifter — just an everyday person that loves to look good and feel even better — it’s impossible to overlook that alcohol is interwoven into the social fabric of our lives, both personally and professionally. That feels anything but empty. Don’t spin that as a free pass to binge drink your face off, though; there’s a smart, social, lean way to drink that won’t wreck your belly or your health. A gorgeous, fit body will dissipate in a millisecond if you’re not careful or disciplined. Summer is the season of blubber-inducing drinks. As delicious as they are, insidiously high calorie, sugar-packed summer cocktails WILL quickly convert your rock-solid, hard-earned beach body into a flabby, unflattering mess. Don’t turn into a beached whale — use these quick-and-dirty drinking guidelines to ensure that you’re ALWAYS drinking with your lean foot forward. The golden rule of drinking is moderation, as evidenced by the notorious J-curve below.6 Stick to 1 drink/day for women, or 1-2 drinks/day for men, max; beyond that and the health benefits evaporate, plus the calories, sugar, and bad decisions accelerate exponentially. There’s no way to overlook that alcohol is calorie-dense — 1 shot of vodka, rum, whiskey, gin, and/or tequila packs 97 calories a pop. 2. Always skip the mix. Most summer drinks are typically made with sugar-laden, calorie heavy, artificial formaldehyde; AKA pre-made Sweet & Sour Mix, Margarita Mix, Daiquiri Mix, and the like. One 4 oz. serving has 130 calories, 33 g SUGAR, HFCS, and a number of other things I can’t even come close to pronouncing. Reverting back to natural ingredients — soda water, fruit, lemon and lime, fruit juice, and even Stevia — can provide a major health upgrade and reduce overall calories/sugar. Most liquor has no sugar or carbs, and the calories remain constant; mixers are the focal point. 4. Stay fresh, not frozen. Unless you’re making it yourself, it’s safe to assume that frozen drinks or anything made in a blender is loaded with pre-made mix and added sugar. Roll with our leaned up version of the piña colada. And then throw it in a pineapple. 5. Get back to basics and lean staples. The extreme variability in the way that complicated mixed drinks are made makes it impossible to pinpoint calorie or sugar counts. A margarita can range from a lean 150 calories to well over 1,000. If you’re uncomfortable with the bartender or suspect that they’re using LQ ingredients, a glass of wine or a good beer is surefire bet to fall in the 100-200 calorie range per drink. Simple, few-ingredient mixed drinks like Vodka Soda & Lime, Bloody Maries, Vodka Cranberry, Rum & Diet Coke, and Mimosas are consistent low calorie, low sugar bets. 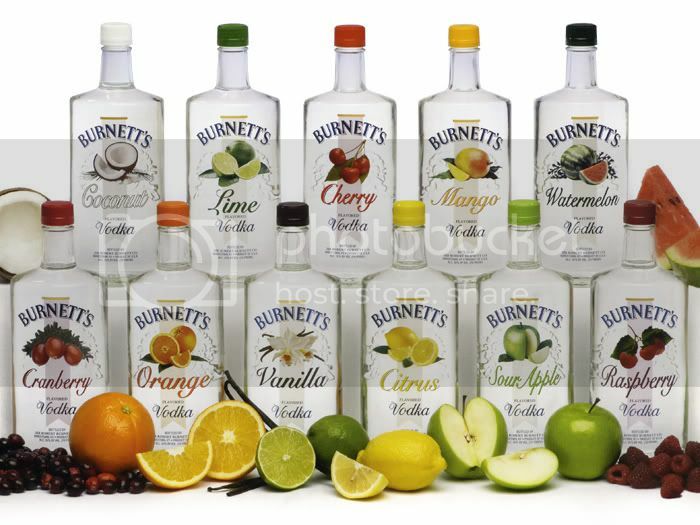 Bring it up a shelf and graduate from the ranks of Popov, Burnett’s, Georgi, Montezuma, et al. Quality liquor contributes an additional layer of complexity to a drink’s flavor profile without the need for offensive mixers. Drinking pseudo-ethanol only means two things: more sugar to mask the taste and even more Advil the next morning. Shots are fun to celebrate, but they literally take an instant to drink and you’ll immediately reach for another drink after. They’re the snacks of the alcohol world — a gateway to additional drinking. They don’t fit with the 1-2 drink mantra. 8. Know what you’re drinking, and what to ALWAYS skip. Some cocktails are hopeless (e.g. Long Island Iced Tea); others can be saved from caloric calamity and brought back to respectability (e.g. Margarita, Mojito). Get cozy with our in-depth ranking of the 22 Most Explosively Fattening Cocktails and make drinks from the top 25% your go-to staples.